Hey, fellow HHJS! In preparation for Black Friday, I have been narrowing down my purchase list. I really wanted to purchase just one Pura Body moisturizer because I have too many products. I wanted either the MuruMuru Moisture Milk or the Sapote Hair Lotion but I was having a hard time figuring out which one. Initially, I loved the MuruMuru because I tried it first. Then, I tried out the Sapote over a long trip to Atlanta, and I was confused again. To help me out, this week I used them both consistently. I wore the MuruMuru on the left side of my head, and the Sapote on the right. I also compared ingredients and pricing. Ingredients: The ingredients are very similar in that they both start with water and have BTMS high on the list, but that is the end of the key similarities. They have different oils/butters and other ingredients. 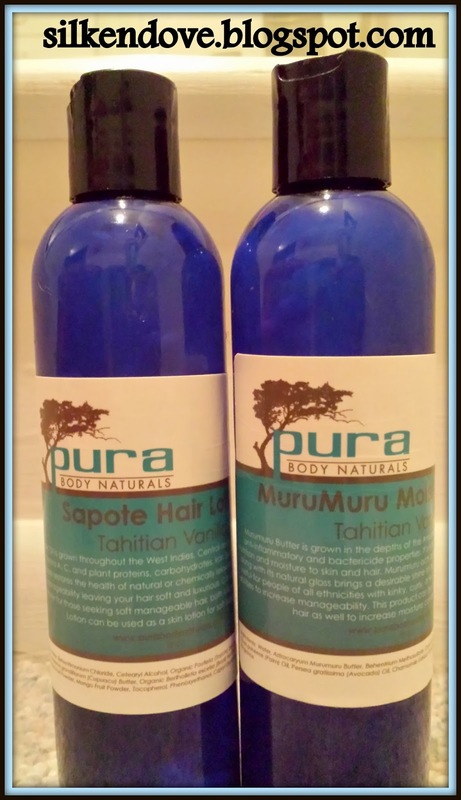 MuruMuru Moisture Milk: Water, murumuru butter, BTMS, castor bean oil, palm oil, avocado oil, chamomile extract, vitamin E, phenoxyethanol, capryl glycol, fragrance and/or essential oil. Promise: The website indicates that both can be used as a leave-in or daily moisturizer, creating soft, manageable hair. However, only the MuruMuru indicates that it can work as a detangler. The Sapote Lotion indicates that it can be used as a body lotion. Consistency: They are both the consistency of body lotion, but the Sapote is slightly creamier and the MuruMuru is a little thinner and more runny. As you can see from the picture, I put both on a conditioner lid, and the MuruMuru (on the right) immediately ran to the bottom when I tilted the lid. Scent: I bought both in the Tahitian Vanilla scent, and the smell is heavenly. 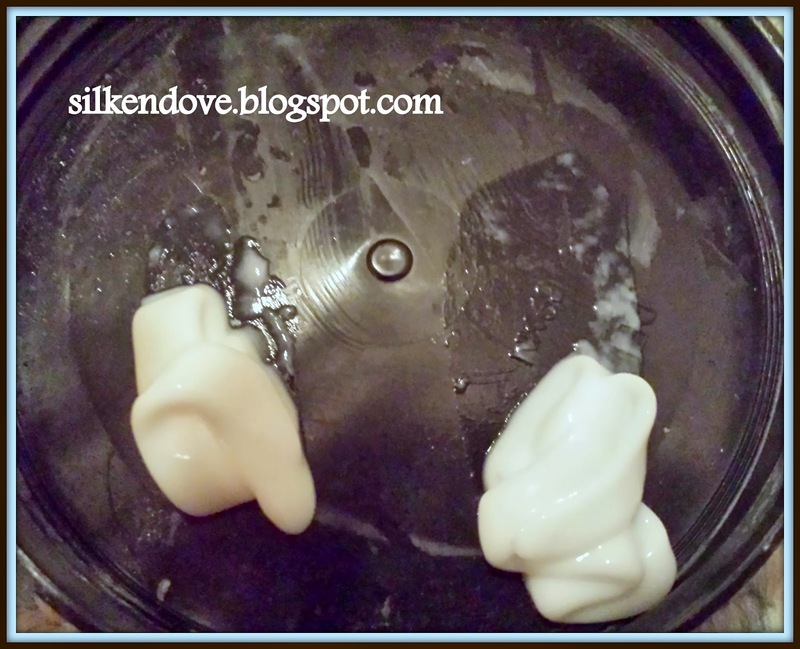 They both have a warm vanilla scent, but then there is another light undertone to each one. The Sapote smells like chocolatey vanilla, which makes sense because of the cupuacu butter. The MuruMuru has a faint citrus to the vanilla. Results: Neither worked great for me as a leave-in. I use my leave-in to do any remaining detangling and neither product is a great detangler, though the MuruMuru was slightly better at detangling. As a daily moisturizer, my hair loved both of them and I had a hard time saying, which one was better. I even had my hubby feel each side, and he said that the MuruMuru may make my hair a little more soft, but not by much. I thought that the Sapote made my hair a little softer, but I also thought that it wasn't by much. Both are great moisturizers. Outcome: If I had to choose, I guess I would pick the Sapote, but not by much of a preference. Ultimately, I like them both and I am buying them both on Black Friday if they are available.